In this Detroit Free Press article, OPS Solutions President Paul Ryznar shares the Light Guide Systems story—from early days testing a prototype with his daughters to establishing a creative and revolutionary technology for the manufacturing world. Brian Close is the Executive Director of Sales for OPS Solutions. 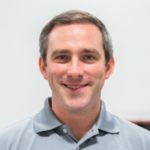 Brian has over 10 years of experience managing sales, manufacturing and engineering operations including managing implementation of new manufacturing equipment and processes with processes and managing $20M+ portfolio of contract engineering projects. Brian holds a BS, Materials Science & Engineering from Carnegie Mellon University and a MBA from the University of Michigan.